On the morning of Dec. 22, 1947, in the first weeks of Israel’s War of Independence, a 19-year-old stepped out of a car on a stretch of road between Jerusalem and Tel Aviv. He had a neat mustache, spoke Arabic and carried the modest toolkit of an itinerant barber. The friend who dropped him off sat behind the steering wheel and watched him stride off toward a nearby Arab town. No one ever saw him again. Seven decades later, what’s left of the vanished 19-year-old – the details of his short life, a description of what he was really doing that day and his name, Nissim Attiyeh – can be found in a file in a spartan army office along an ordinary street in the urban sprawl around Tel Aviv. This is where the Israeli military’s missing-soldier unit works. In these offices, the story of Attiyeh, of the strange unit to which he belonged, and the stories of others who disappeared in battle 70 years ago, remain alive long after they’ve been forgotten nearly everywhere else. I encountered Attiyeh’s story while writing a book about a few young men who became Israel’s first spies in the war. The spies belonged to a small, amateurish unit called the Arab Section, which was part of the Jewish military underground before the creation of the army and the state. It went on to become one of the seeds of the Mossad. The unit’s story, though dramatic and important, has – like that of Attiyeh – been mostly lost to history. When I visited the missing-soldier unit in February, after years of work on this project, I felt a kinship with the researchers. In my book, I’ve tried to do what they’ve been trying to do: resurrect something that has been forgotten and give it the place it deserves. In December, 1947, the first month of the War of Independence, irregular Jewish and Arab forces were fighting a hit-and-run war. The British, who had ruled Palestine for 30 years, were about to pull out, leaving the sides to decide the fate of the country. Palestine was disintegrating into a civil war. The declaration of the state of Israel, and the invasion of five Arab armies, was five months away. The Jewish military forces knew little about the other side and were operating with scant information. One of the only effective intelligence tools they had was the Arab Section. The Section was made up of Jews who’d recently left their homes in the Arab world, where nationalistic and religious hostility was on the rise. Because they were native Arabic speakers at home with Arab culture, the Jewish military command hoped they’d be able to move freely in Palestinian Arab areas. Often disguised as itinerant barbers or peddlers, and armed with flimsy cover stories, they’d slip back and forth across the treacherous ethnic lines, picking up tidbits of information and reporting back. That’s what Attiyeh, the sixth son of poor parents from Jerusalem, was recruited to do. It was dangerous work. In December, 1947, the Jewish and Arab populations in Palestine were frightened and on edge. A slip in grammar, or an inconsistent biographical detail, could get you killed. Of about a dozen active agents at the war’s beginning, half were caught and killed. The trigger for Attiyeh’s dispatch two days later appears to have been an attack by Arab fighters on a Jewish convoy. He was supposed to pick out a route for a retaliatory raid and report back the same evening. But, like his two unlucky comrades in Jaffa, Attiyeh caught someone’s eye. His cover must have slipped. He’s assumed to have been executed in one of the nearby orchards, but no one knows for sure; he just disappeared. Nissim Attiyeh, and the two spies killed in Jaffa the same week in December, 1947, were the first fatalities of Israeli intelligence. In the offices of the missing-soldier unit, known by the Hebrew acronym EITAN, there are 95 files still open from the 1948 war. A team of about 50 active researchers is tasked with closing them – a hybrid outfit of detective-historians, not regular soldiers but rather reservists called up for a few weeks a year. In their real lives, some of the researchers are academic historians. Others are policemen, or computer programmers. The necessary personality type ranges from patient to pedantic. They might spend years on one case. The rule is that they can never give up. The unit’s commander, Lieutenant-Colonel Nir Israeli, told me that part of his job is keeping an open mind. He’s regularly contacted by civilians with a lead or just a hunch about where a body might be found. He gets quite a few calls from psychics. “I don’t turn anyone away,” he said. Why persist, even long after the close relatives of the missing have died, and long after it would no longer seem to matter? In the Jewish tradition, families must have a grave where they can mourn, he explained. And they need closure. “This is a commitment we make to our soldiers – we sent this person, and we have to bring them home,” Lt.-Col. Israeli said. Sometimes he tries to demonstrate this value by bringing young soldiers along in his search parties. 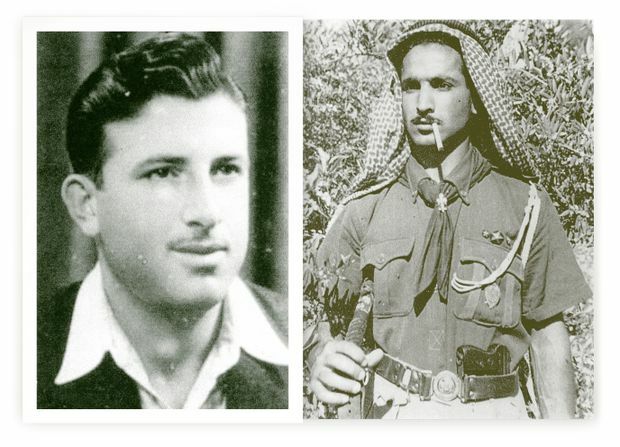 In a recent sweep to find the remains of four Givati Brigade soldiers who went missing in a skirmish with the Egyptians in 1948, for example, he used soldiers from the modern-day incarnation of the same military unit. (They found traces of the battle, such as old bullets, but no bodies.) “Every soldier going into combat should know that we’ll do everything to find them, even if it’s 70 years later,” the officer said. Each file is periodically opened and reviewed for clues – something that might be apparent to a fresh pair of eyes, a hint that that might have evaded researchers in the past. Special teams open graves of unknown soldiers to perform DNA tests. In the field, they’ve started using drones with magnetic sensors that can pick up potentially significant details – old metal canteens, for example, or shell casings. Sometimes it’s a matter of spending weeks in the military archives, looking for leads: Maybe a soldier thought to have been in one unit was actually assigned somewhere else? Maybe the wrong person was buried in the wrong grave? All of this usually turns up nothing, but the EITAN researchers manage to close a few files a year. In May, for example, after years of searching, they found the body of a 34-year-old fighter, Libka Shefer, who was killed in an Egyptian army assault against a kibbutz in southern Israel in 1948. Seventy years after her death, she was finally buried under her own name. One of the unit’s notable successes involved the two Arab Section agents who were executed in Jaffa in December, 1947, around the same time that Attiyeh vanished. By 2004, more than 56 years had elapsed since they’d disappeared, but the missing-soldier unit was still looking. Researchers had honed in on two anonymous graves in a military cemetery in a different part of the country, the port city of Haifa. The bodies buried there had been found side by side in 1977 by construction workers building a school near Jaffa, and had been identified as regular fighters who fell in a battle nearby. But using DNA samples from surviving relatives, the researchers confirmed that the two bodies were, in fact, the two missing spies. They were reinterred with full military honours under their real names – Lieutenant David Shemesh and Lieutenant Gideon Ben-David of the Arab Section, both 21 when they died. Not all of the Section’s fallen spies were lucky enough to merit a grave. Two others who were executed by the Egyptians in Gaza in August, 1948, are thought to be buried where a Palestinian high school now stands, and have been declared inaccessible. The Section’s last fatality, a spy caught at a border crossing and hung by the Jordanians in 1949, was buried in the yard of a military prison in Amman. Fifty-five years later, after Israel and Jordan signed a peace agreement in 1994, an EITAN team went to look for him but found that the prison and its grounds had been subsumed by new construction. The body of the spy, Yaakov Bokai, who was just 19, is thought to be under a highway. At the office near Tel Aviv, the file of Nissim Attiyeh remains open. Three years ago, 68 years after he vanished, a search party combed the area of his disappearance. Every so often, the researchers sit around a table and brainstorm, throwing out possible solutions. No trace of him has yet been found. For the army researchers, and for me, that absence is a challenge – a summons to resurrect these lost people from a long-ago war, to mark the contours of their story and to consider the ways their lives and actions still echo today.